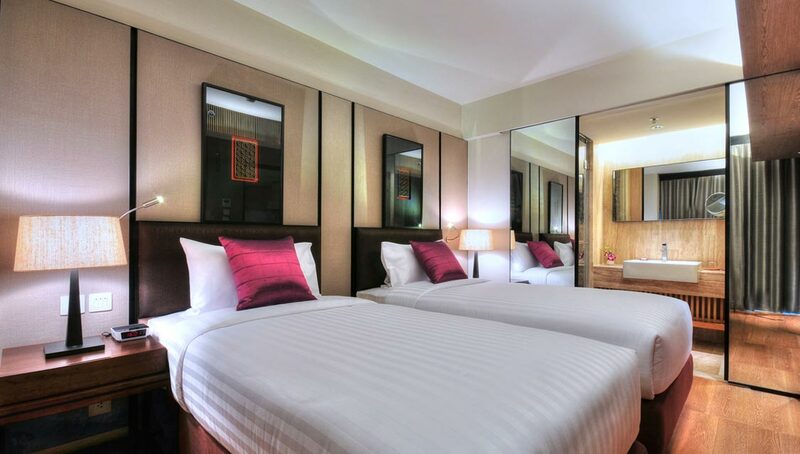 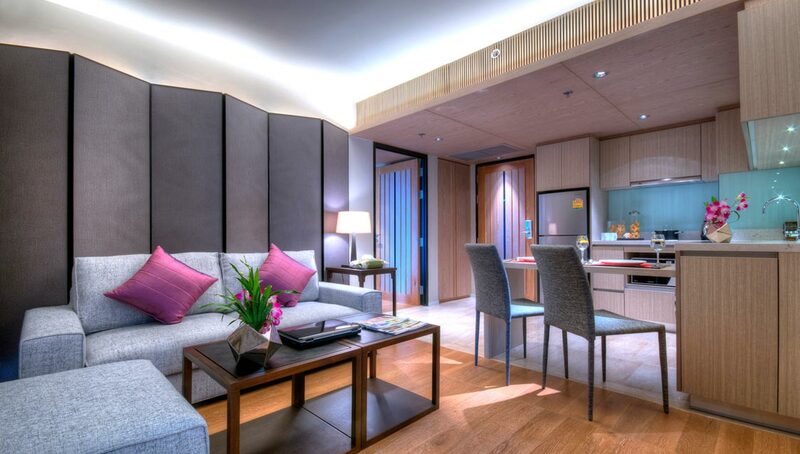 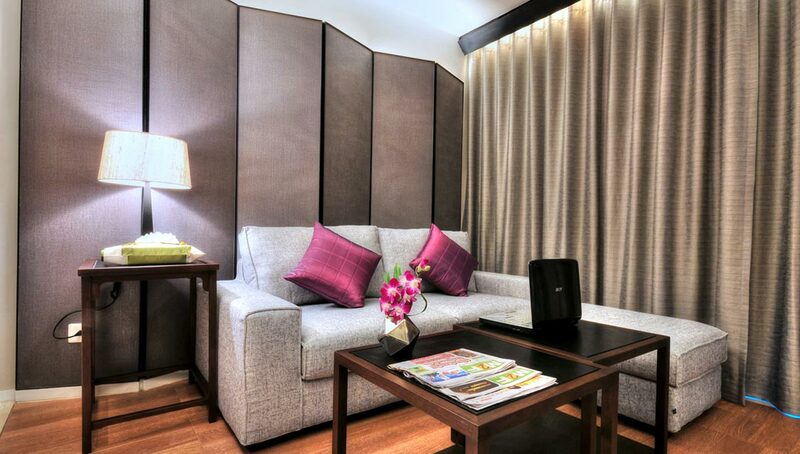 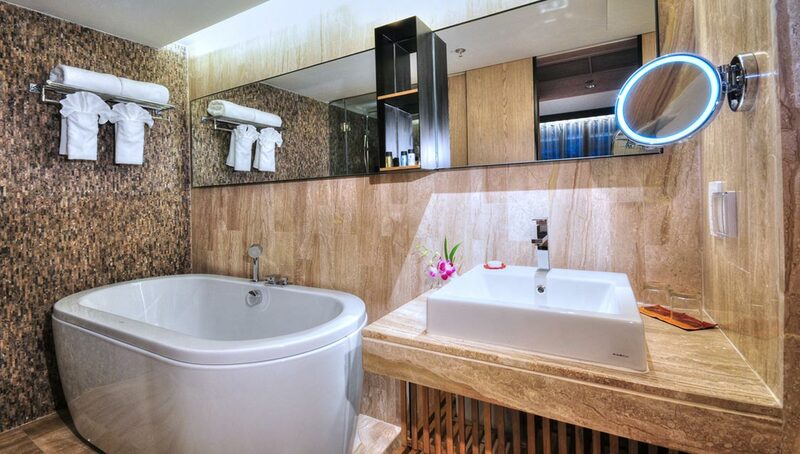 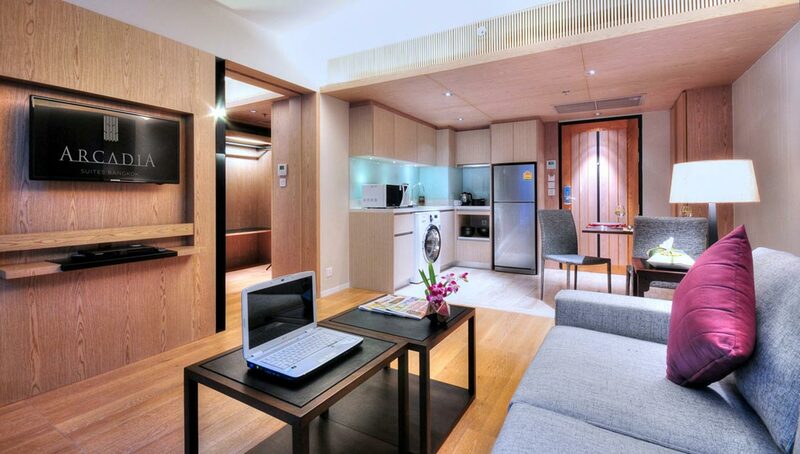 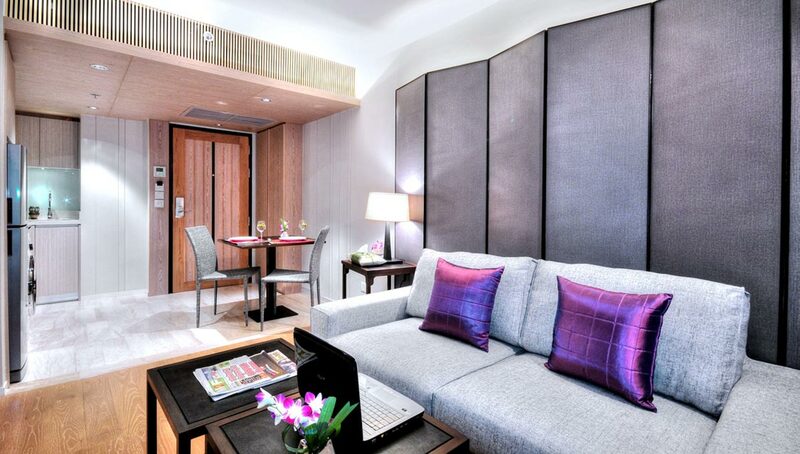 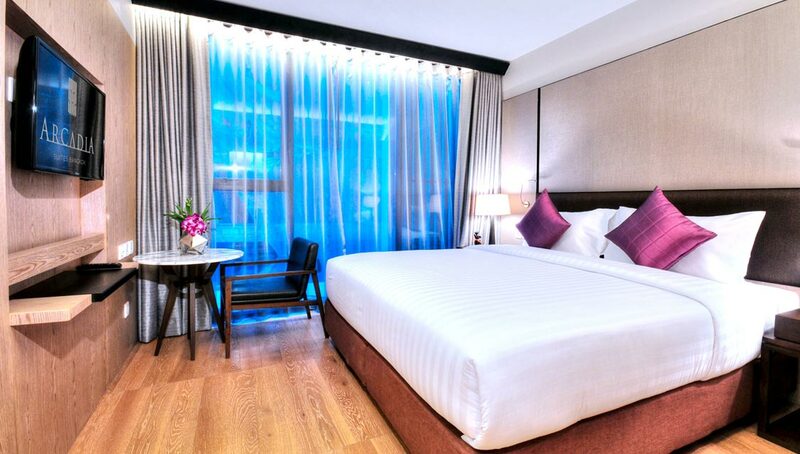 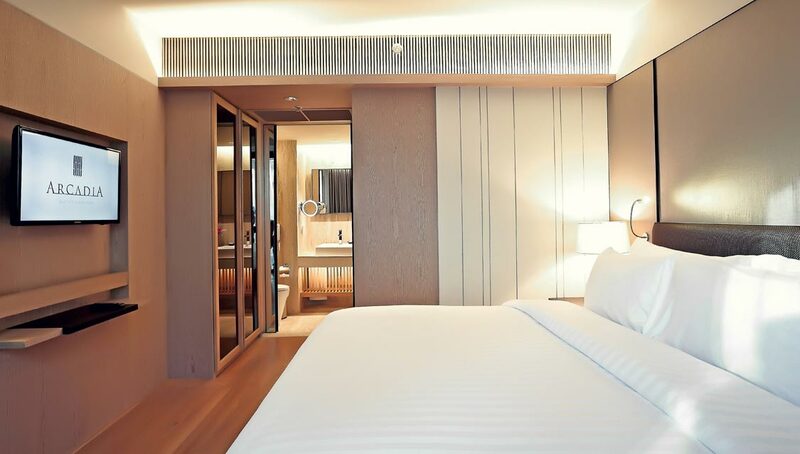 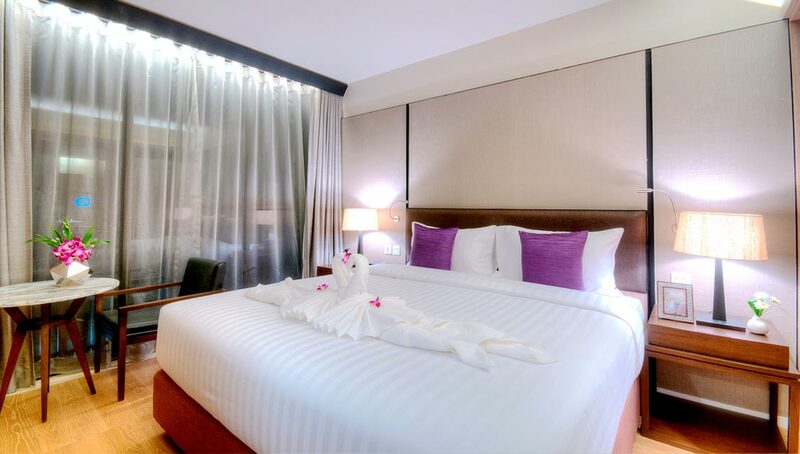 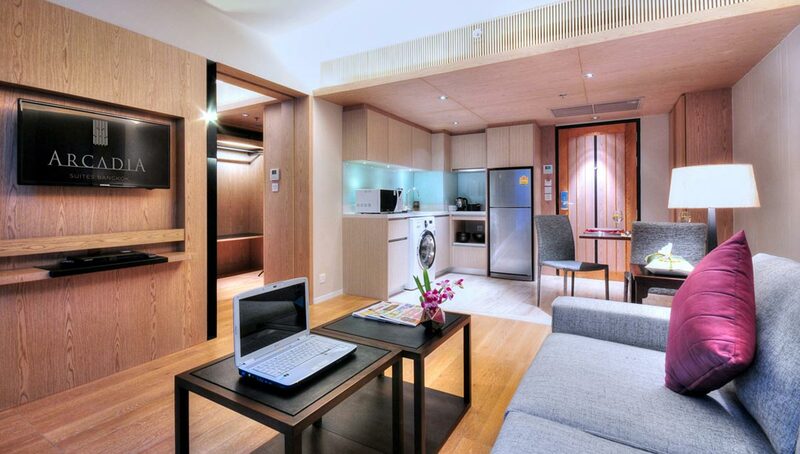 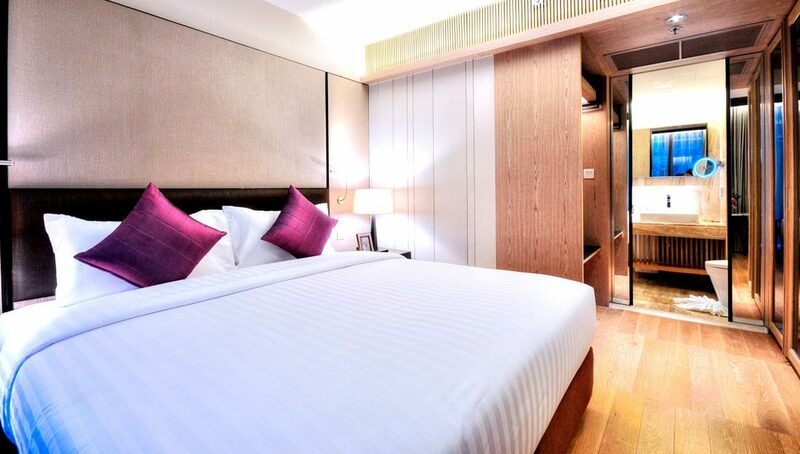 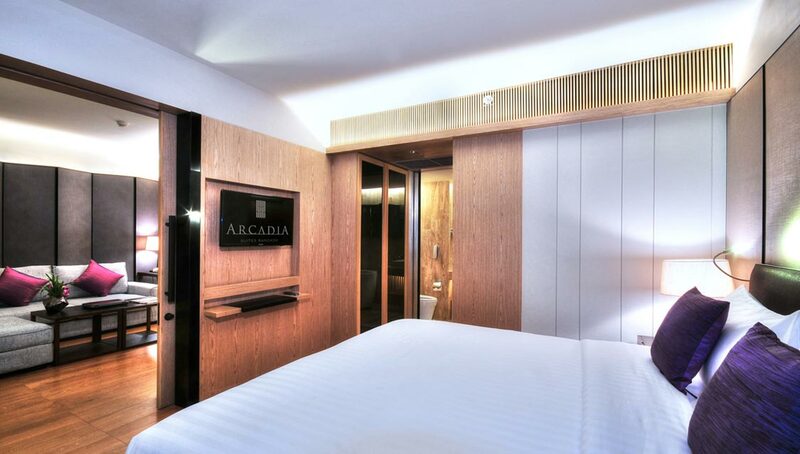 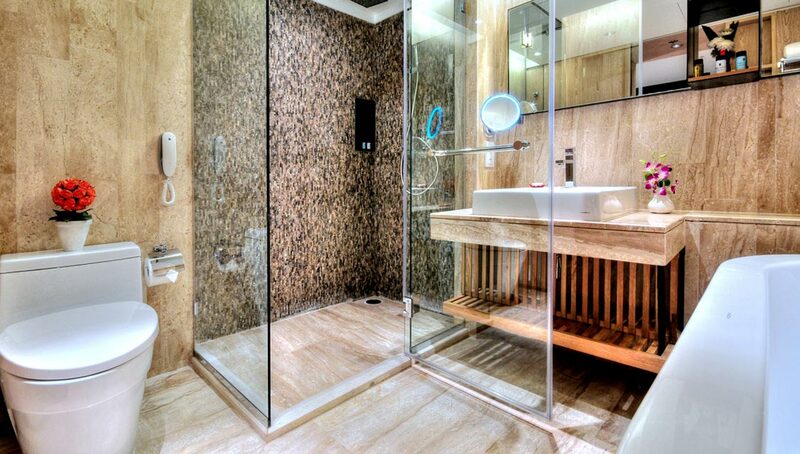 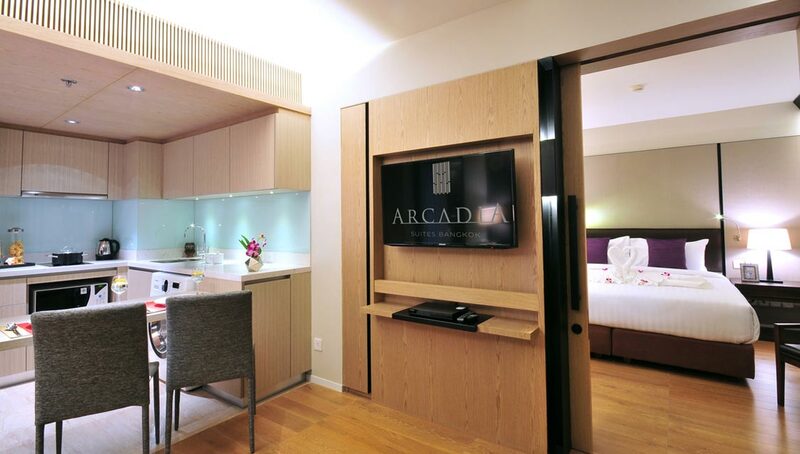 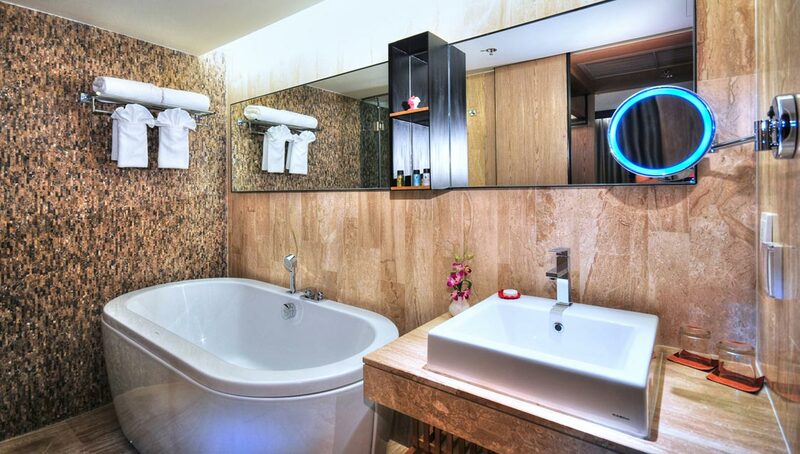 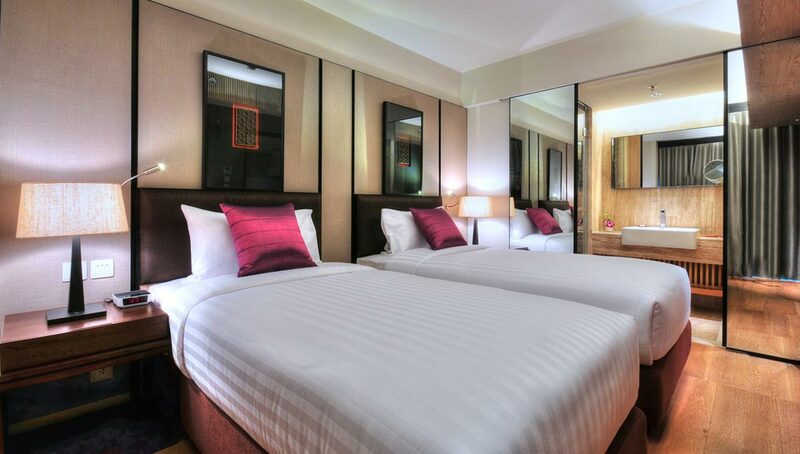 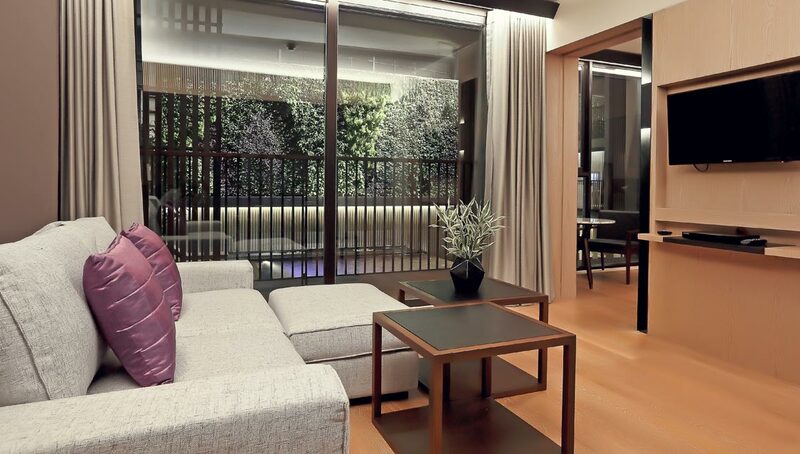 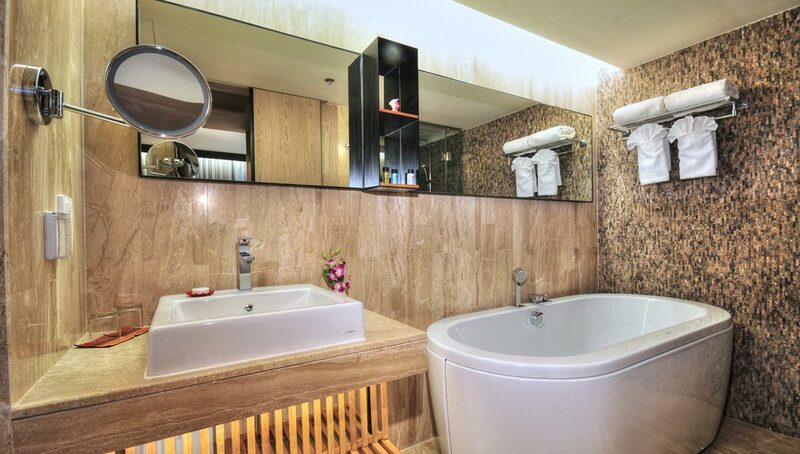 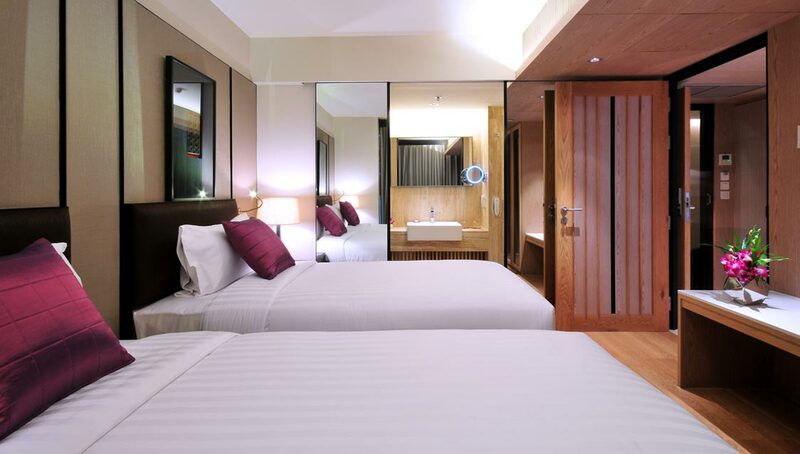 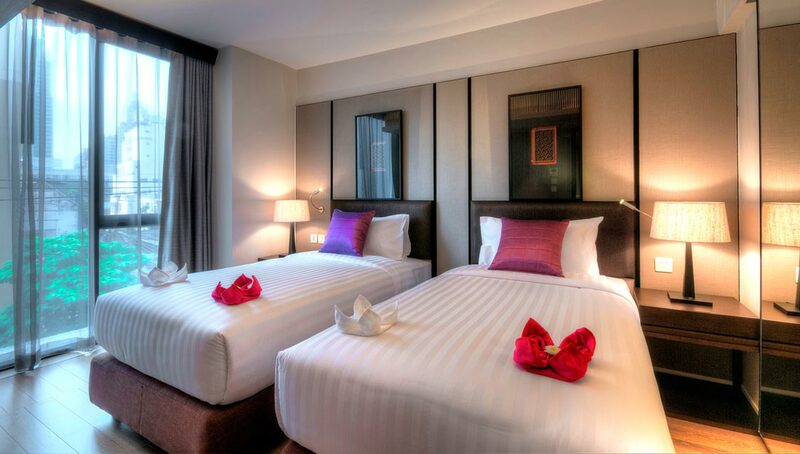 The experience of walking into Arcadia Suites is like coming home to your private apartment located in Bangkok downtown. 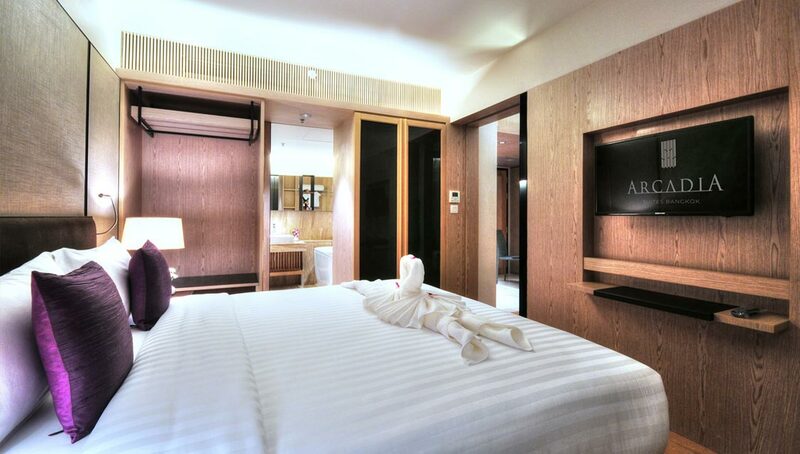 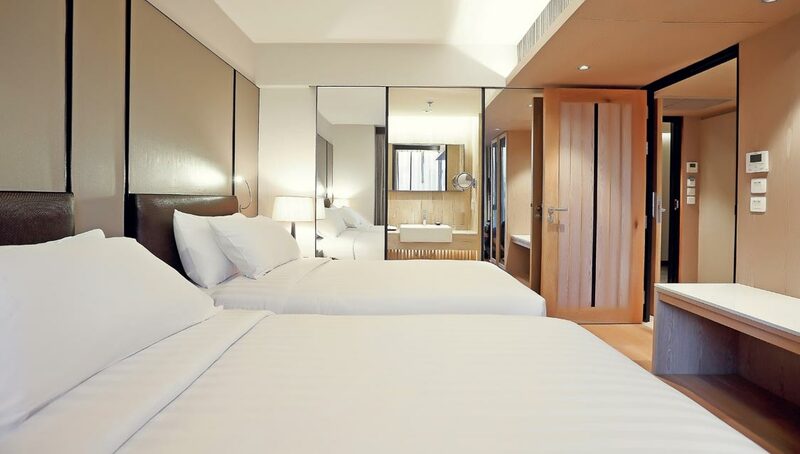 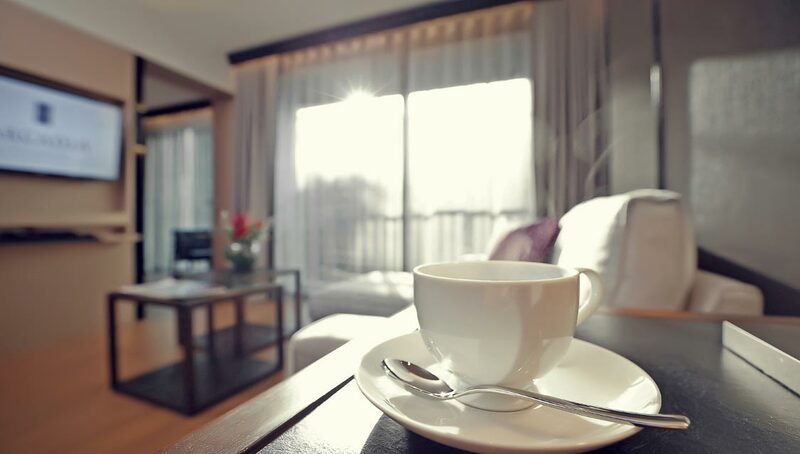 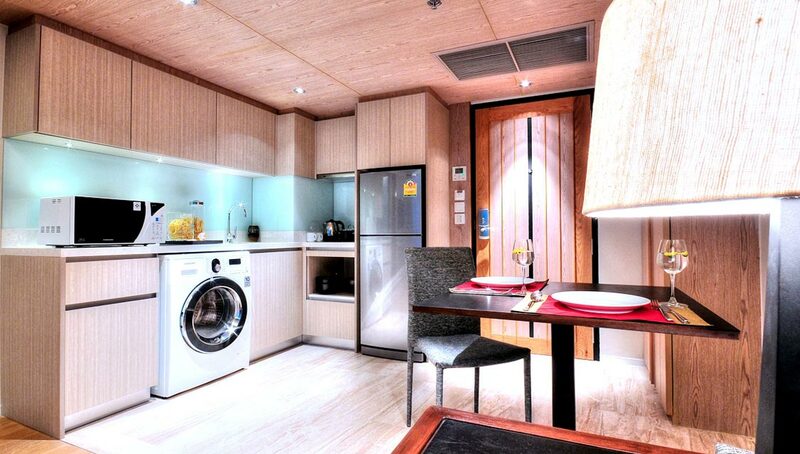 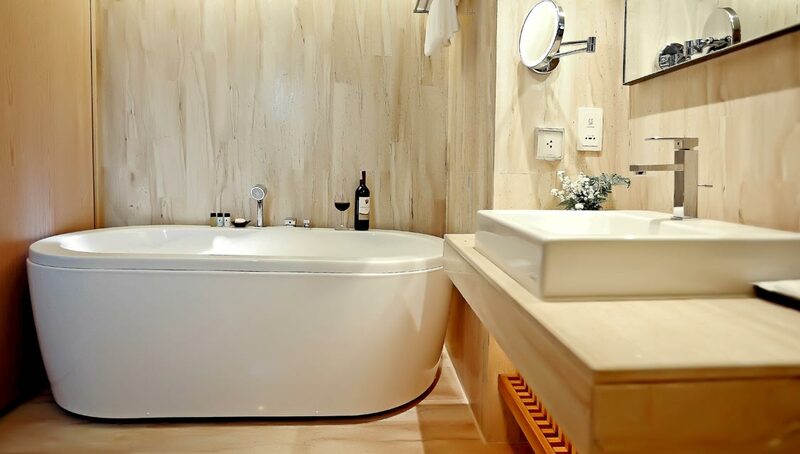 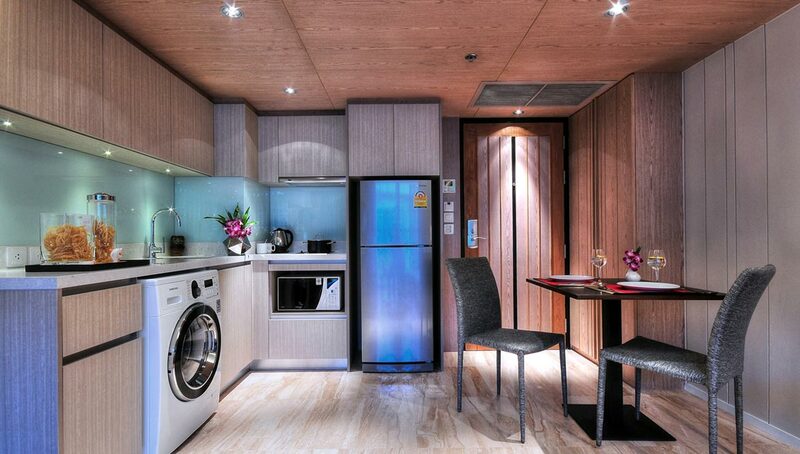 Each of our 73 lavishly and elegantly designed suites is equipped with modern amenities and fittings, such as an executive work station, a 32” LED Flat Screen TV, an en suite bathroom, a separate living area and fully featured kitchenette with a refrigerator, microwave and washing machine. 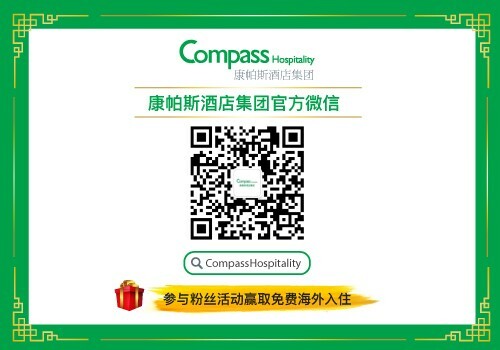 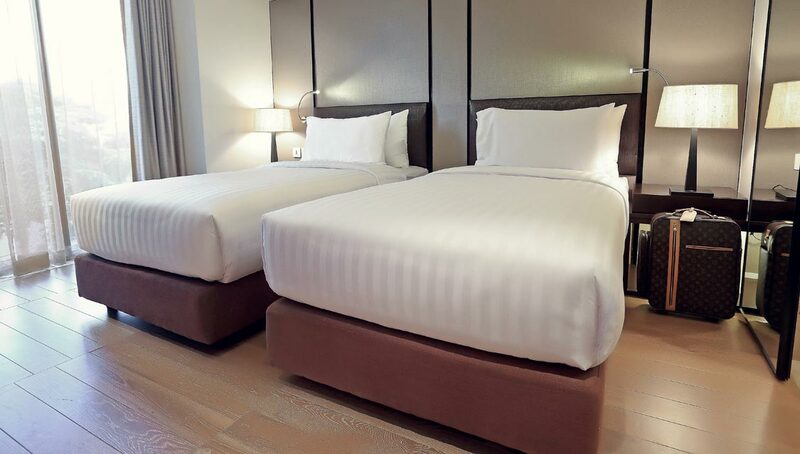 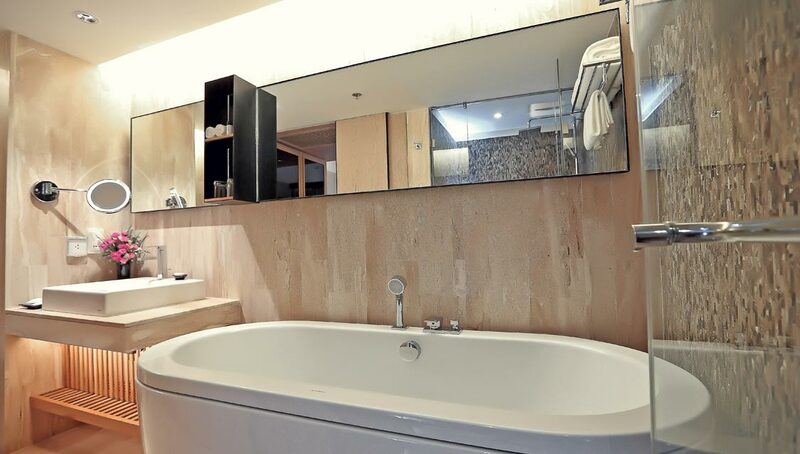 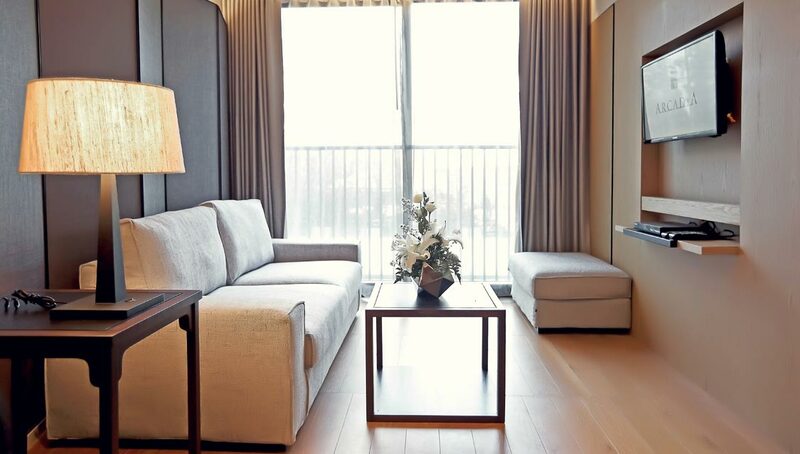 The suites are segregated into 6 types: One Bedroom Superior, One Bedroom Deluxe King, One Bedroom Deluxe Twin, One Bedroom Premier, One Bedroom Triple Deluxe Suite and Two Bedroom Suite. 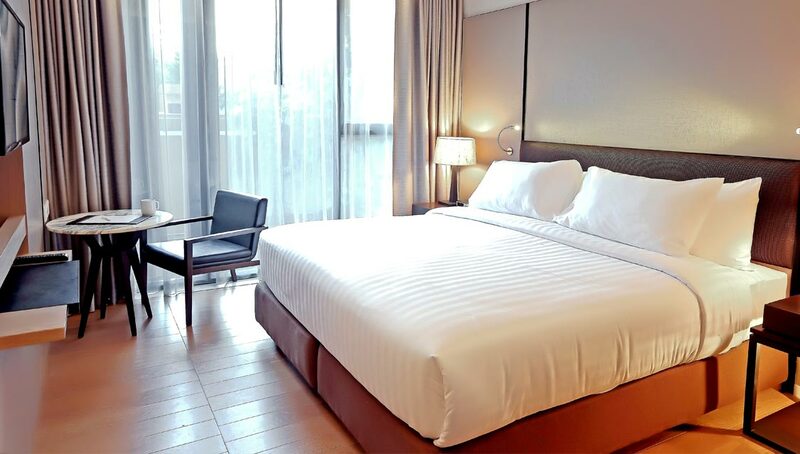 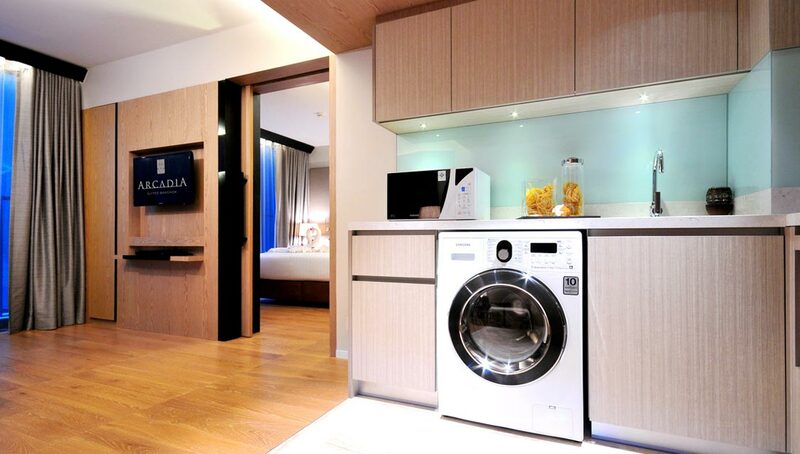 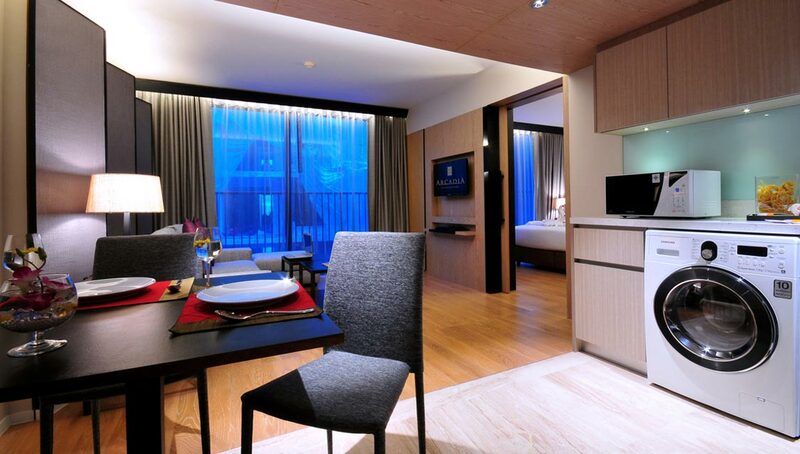 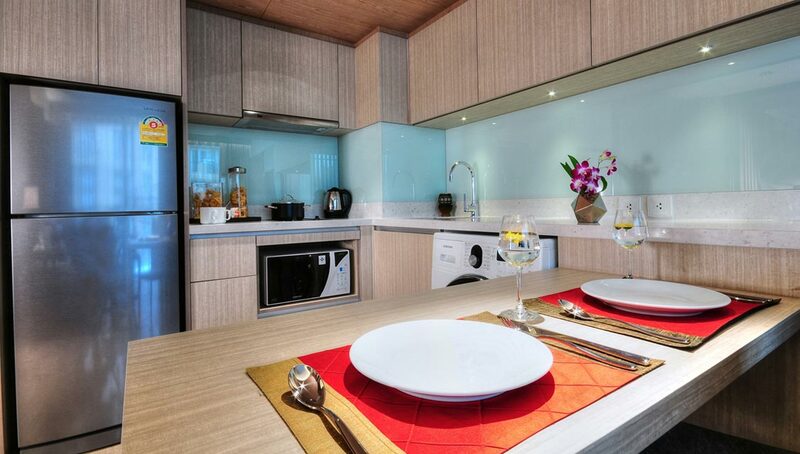 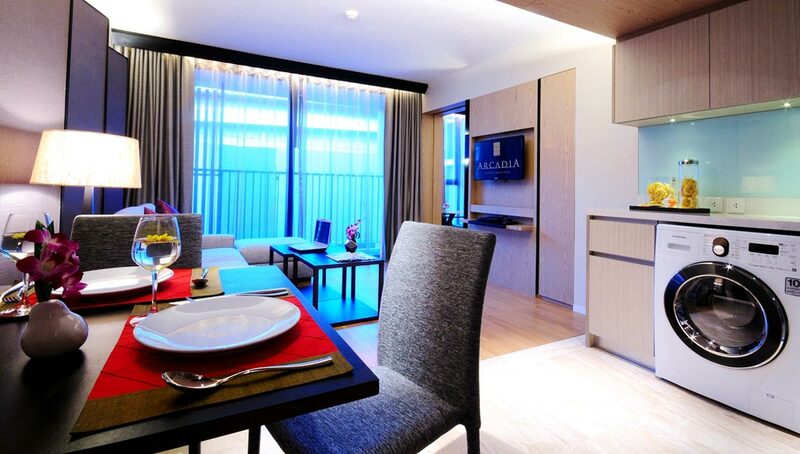 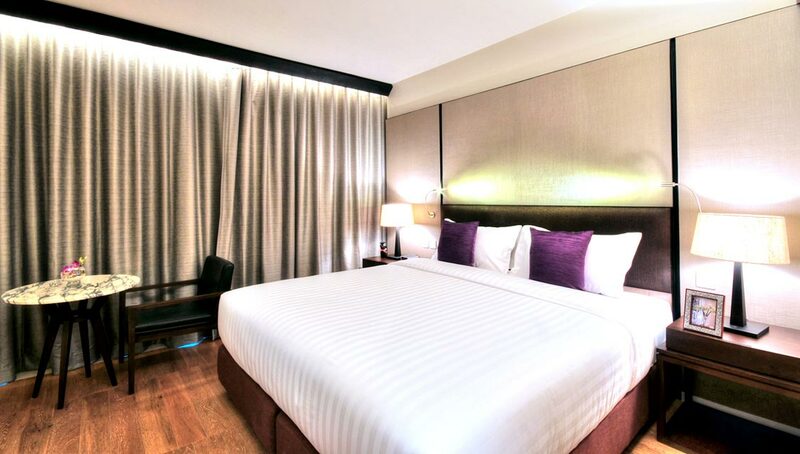 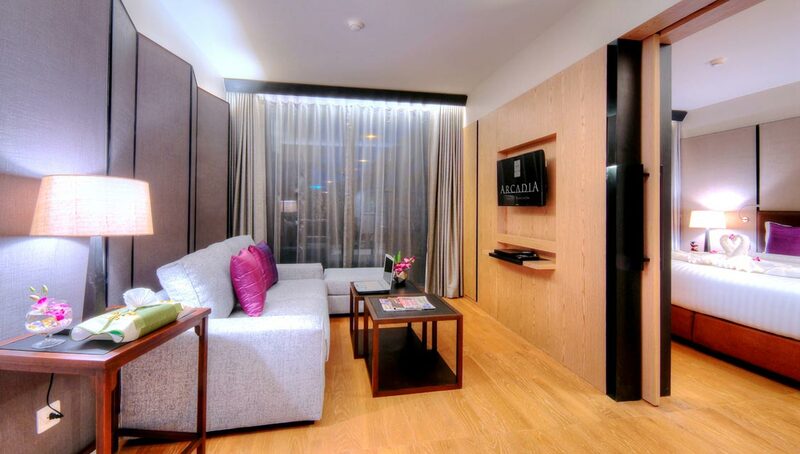 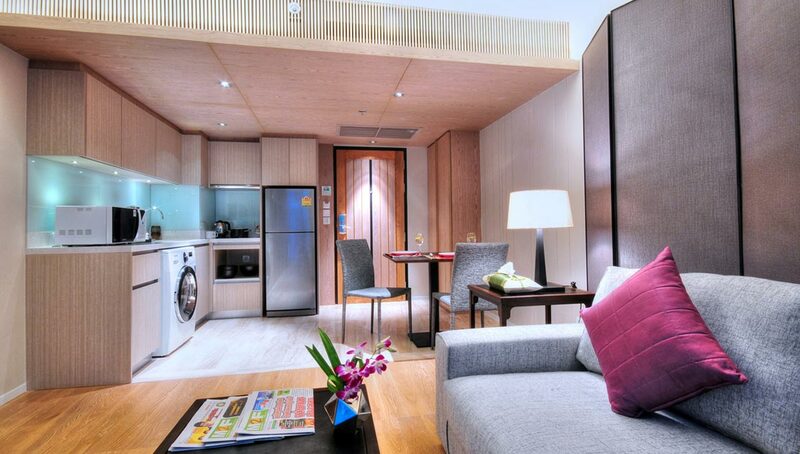 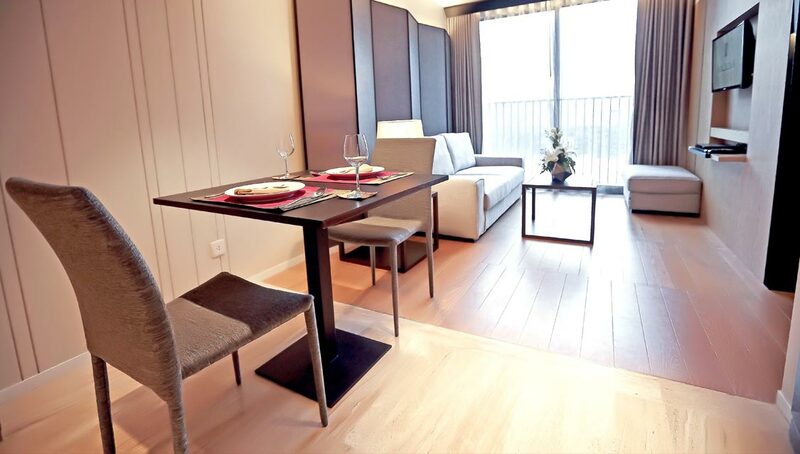 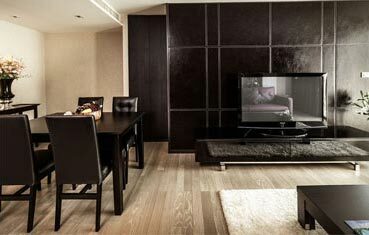 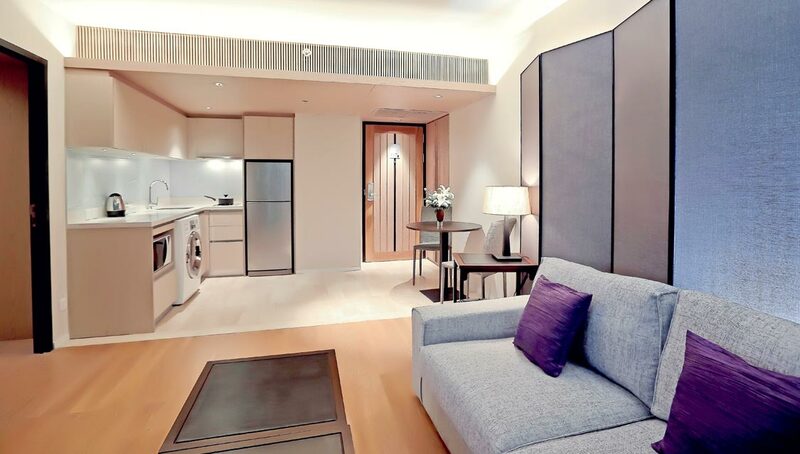 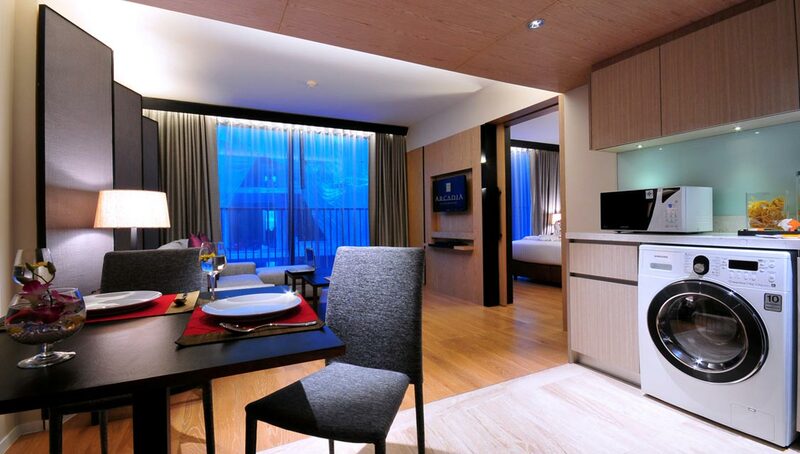 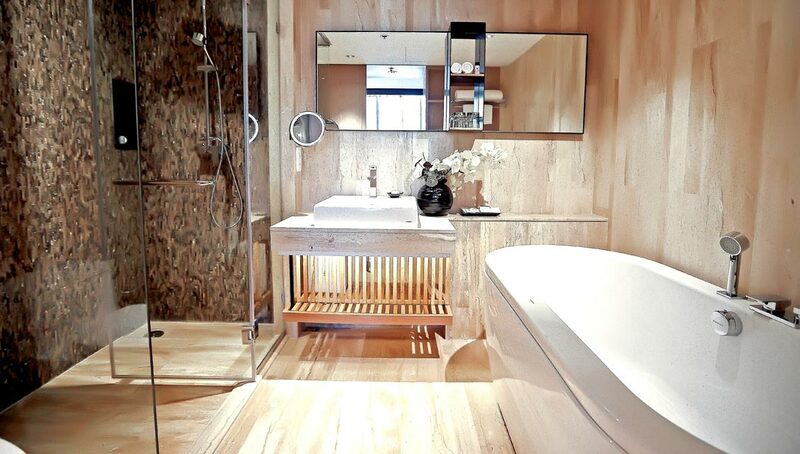 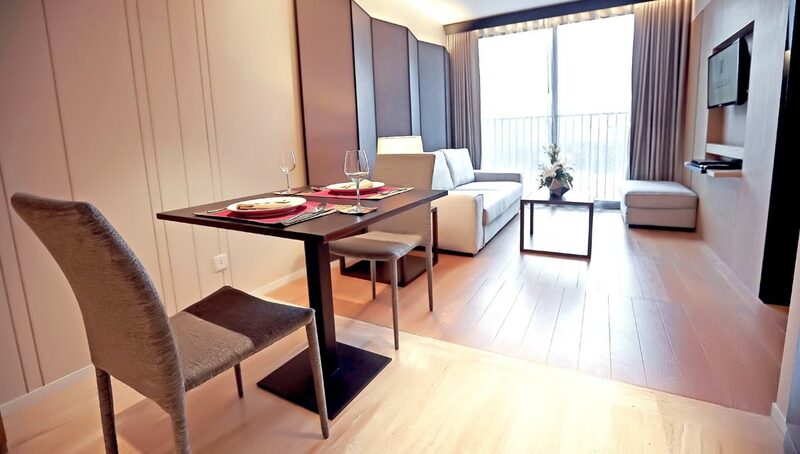 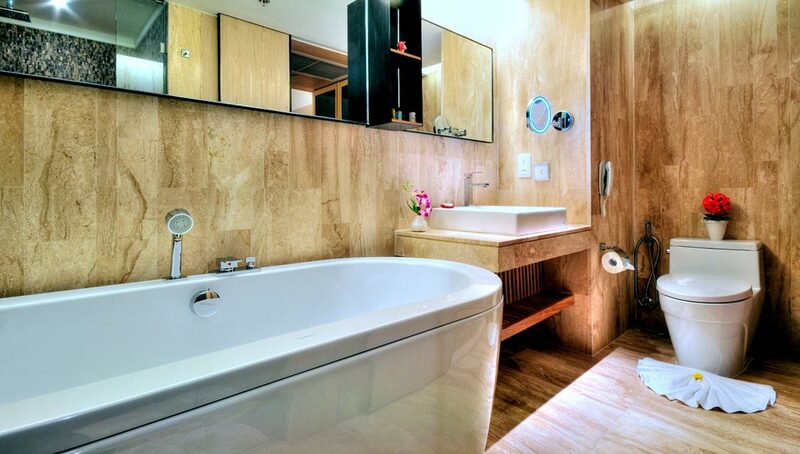 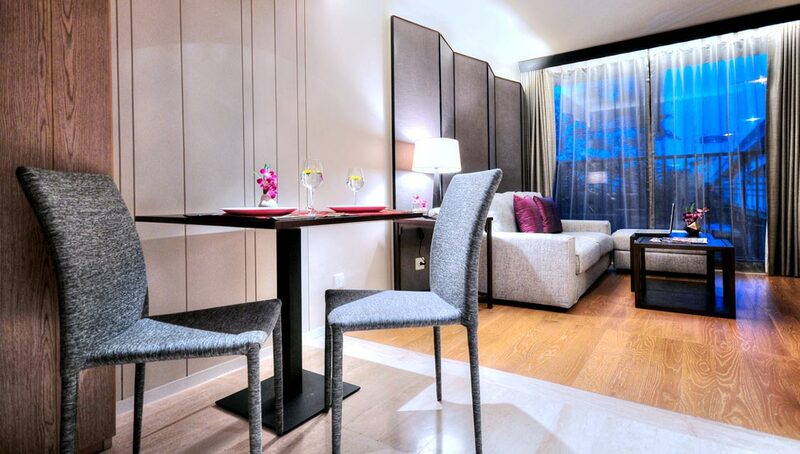 Far from other serviced apartments, Arcadia Suites helps your style meet home’s comfort.